Hey kids! Never throw anything away! Well, that’s always been my motto. 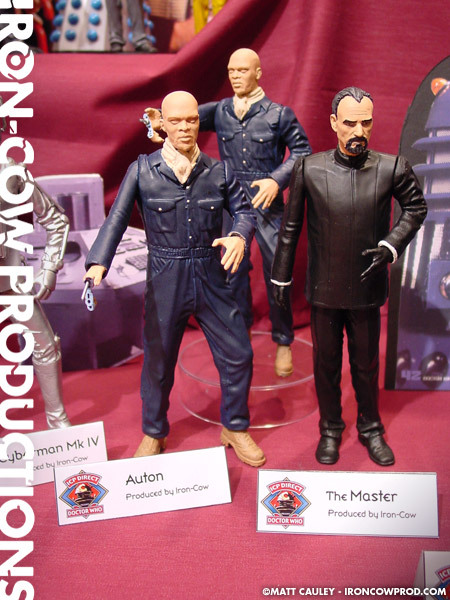 The Auton customs are made entirely from spare parts that were leftover from other various Doctor Who customs. 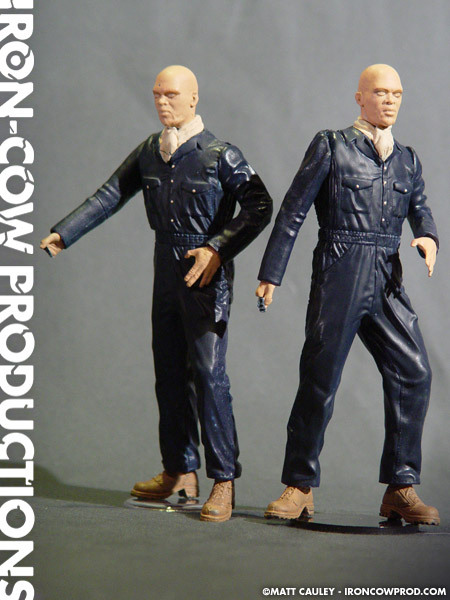 The Auton bodies are primarily Michael Myers Halloween figures, though the arms and head came from Shaft. Kneadatite was used to create the neck scarf and was also used to modify certain surface details. I next partially sliced open Shaft’s right hand and re-glued it into its new position. This allowed me to construct the Auton Death Ray, or whatever it’s called. That’s the pointy thing sticking out of his hand. 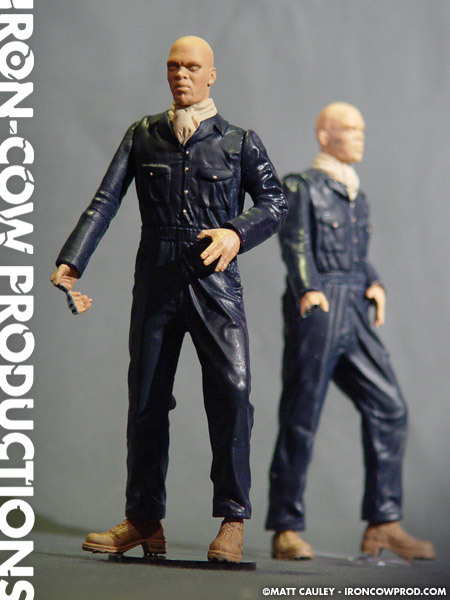 This figure came together almost instantly and doesn’t look nearly as close to a Michael Myers repaint as I feared it would. Certainly not my greatest custom challenge, but then sometimes the simple ones work out fine as well.